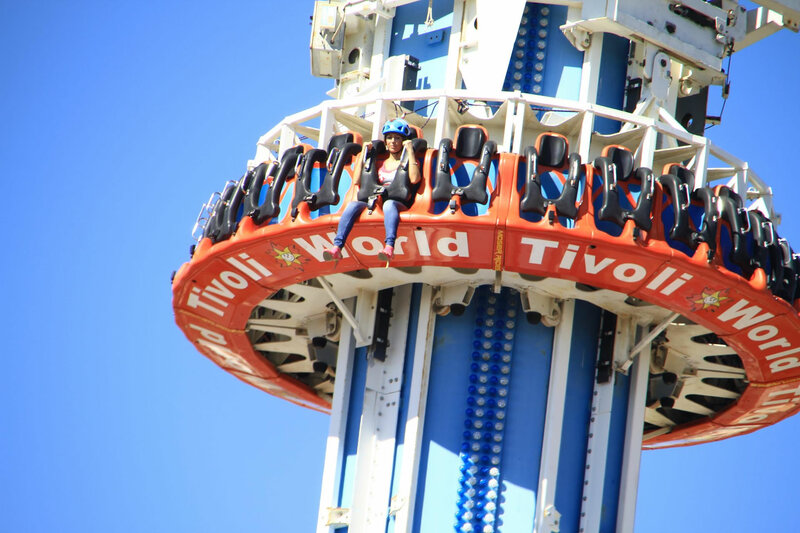 Tivoli World is an amusement park in Benalmadena and is also the park with the most number of live shows in the Costa del Sol. 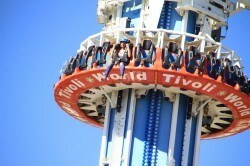 Tivoli World is a must visit place if you are in the Costa del Sol with your family and kids. It will be a great experience to enjoy one fantastic day at this amusement park which is a world of magic for the little ones. There are plenty of different exciting rides and attractions for all ages, from the typical bumping cars to water rides and much more that will be fun for kids, for teenagers and also for adults. In total there are more than 40 different rides being the most famous ones: giant ferris wheel, roller coaster, karts, free falls and bumping boats. There is always live entertainment in Tivoli World as they have a variety of shows that take place in different areas of the park. Experience the Wild West in the Plaza del Oeste, an authentic reproduction of the American West, vibrating with shows such as dances of the world or a fantasy show among others. Discover the thematic Plaza Los Bucaneros a privileged place within Tivoli World, with the best views of the park, and daily activities for the whole family in a spectacular stage set on a huge pirate ship. During the months of summer they also offer daily flamenco shows in Plaza Andalucia. There are thematic bars and restaurants so you can have a break having a drink or a wonderful meal in a different restaurant while enjoying the wonderful atmosphere of the park. A diverse variety of restaurants from Italian cuisine to Chinese, having also different burger and ice cream places. The Tivoli World Amusement Park has been used on numerous occasions as a framework for various movies and International Productions and advertising agencies so it can be a good location for any type of celebrations from corporate events to private parties, product presentations, screenings, marketing events or even a different way of celebrating a birthday party.